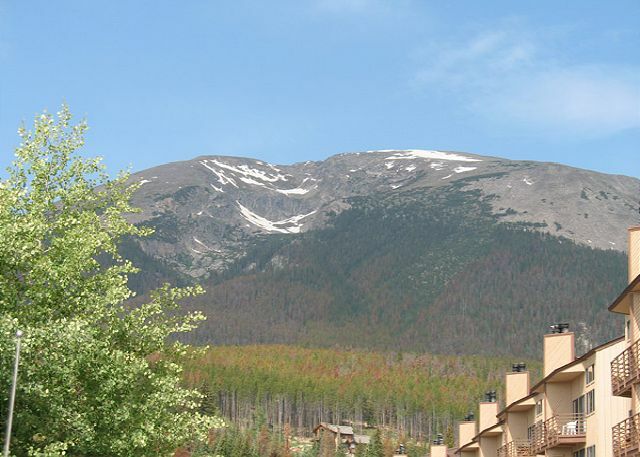 This two bedroom/two bath unit is located up in Wildernest and offers views of the mountains and beaver ponds. One floor up from the parking garage, this Buffalo Village 204B offers its guests a clubhouse including a pool, hot tub, common area laundry and game room. This cozy mountain condo has a wood burning fireplace and covered parking for your winter stay. Located close to several hiking trails, this unit also makes a perfect summer getaway. 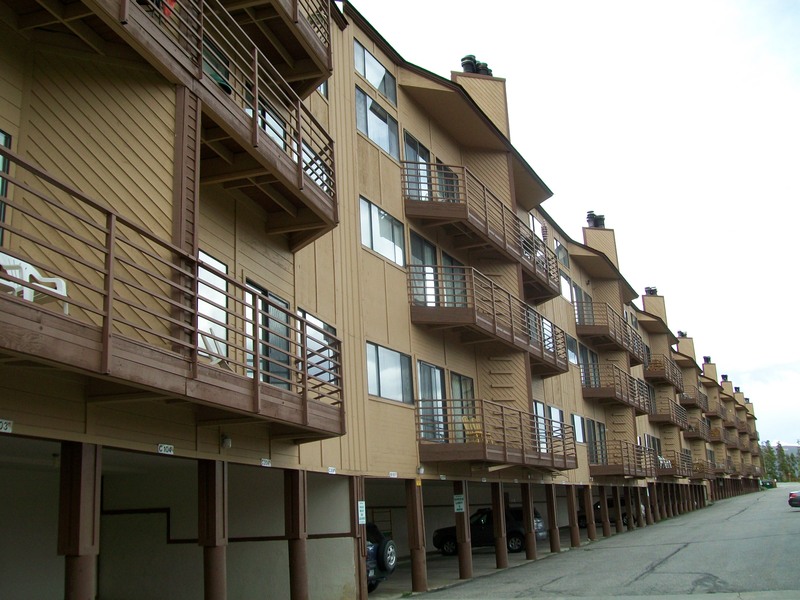 The condo was perfect for our needs and was well equipped to handle 4 to 6 people as indicated. Great location and amazing views! Had a great stay! The condo was cozy and it was nice that there was chopped wood provided for a fire! Condo was clean and comfortable. We used the clubhouse pool and hot tub which were very nice. Only complaint was the sleeping arrangement. The fold out sofa was uncomfortable, and not just because it was a fold out bed. It was sunken in and the mattress had little to no padding. It's about 10 yrs past the time it should have been replaced. Otherwise a great condo, beautifu views, and super nice staff! The condo was clean and worked perfectly for our group. The price was great and the staff was very friendly. Great condo and people! We had a nice visit to the mountains this past weekend to do some skiing. The condo is in a great location, and we loved the clubhouse amenities, including the hot tub and indoor pool. The property was clean and well stocked, though it is definitely time for some updating. The bed linens really need a refresh, and the appliances are very old. Excellent location for our needs. Furnishings were somewhat dated, but very clean. Hot water prone to scalding in shower or out of sink faucet. Wonderful view. Would stay here again. The accomadations were good. I didn't care a lot for master bath....with sink and mirror in bed room, but it was o.k. The only real recommendation that I would make is to put a couple more comfortable chairs in TV room. Thank you. This condo was very comfortable and well-stocked. We enjoyed our time there! The management company staff was very helpful. Since the unit had not been used the night prior to our arrival, we were able to check in early. This greatly facilitated our day of skiing and the purchase of groceries for the condo. This unit worked out very well for our ski trip. We were able to ski several resorts in Summit and Eagle counties all within a half hour drive. The location has many restaurants and shops nearby which can easily be reached by car or the free Summit shuttle. We were generally happy with this rental. It is older and the exterior hallway area isn't terribly appealing but the interior was clean and comfortable. The balcony had gorgeous views, the kids enjoyed the clubhouse, and the condo had everything we needed except WiFi. I would recommend it as a good value. What a gem! We found the property last minute and couldn't be happier. We do a 4 - 5 day trip to Silverthorne/Dillon area every year. We have usually stayed at area hotels/motels. After staying at Wildernest properties, we will NEVER stay at another location ever again. Wildernest is the way to go!!!!! Thanks! The Condo was great and had a awsome view. Our only problem was the coffee pot which did not work. But we still enjoyed our stay! We had a good time and its always a little to short. We just stayed at this condo for a long weekend and for our purposes this condo was perfect. There is a lot of wear and tear on this condo, but nothing is broken. The refrigerator, sink, bathrooms, tablewear were all clean and orderly when we showed up. This condo is about as far up the hill as you can go, but that presents you with fantastic views and the drive really is not that far. The pool/hot tub are in great shape and they had a ping pong table and pool table in the rec room. I think this is a perfect place for a guys weekend, but next year we will be looking for a nicer place since a number of us will be bringing our wives. The rental company was great, I did have to call because I misread some of the paperwork and they were very polite about my mistake. I also gave some feedback about the wear and tear so hopefully they will start replacing some of the older items. The feedback from the guys sleeping on the pull out was that it was past its usefull life, the second night one guy put up an air mattress and the other slept on the sofa not pulled out. All in all I would stay here again with the guys. Nice location, generally quiet. Everything we needed. Water heater and room heat went off first night. Cold room and ice cold water next morning; no shower next mornning, yucht. Maintenance people did fix later. Other than that, the room was great.